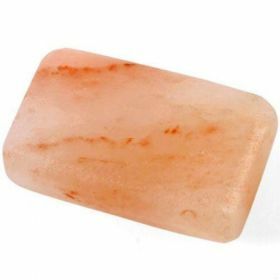 Use our all-natural Himalayan Salt "Soap" Bar for a chemical free alternative to mass produced deodorants. Himalayan Pink Salt is a pure, hand-mined salt that is derived from ancient sea salt deposits in the foothills of the Himalayas. Protected from pollution and impurities since their formation 200 million years ago, Pink Himalayan salt is believed to be the purest form of salt available. The high mineral crystals range in color from sheer white, varying shades of pink, to deep reds, the result of high mineral and iron content. Himalayan Pink Salt is a pure, hand-mined salt that is derived from ancient sea salt deposits in the foothills of the Himalayas. Protected from pollution and impurites since their formation 200 million years ago, Pink Himalayan salt is believed to be the purest form of salt available. The high mineral crystals range in color from sheer white, varying shades of pink, to deep reds, the result of high mineral and iron content.